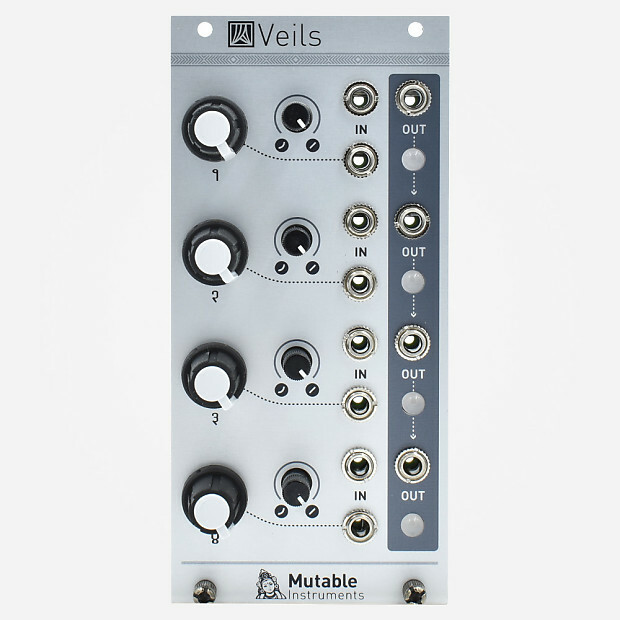 Veils provides four VCAs with an adjustable response curve-you can never have enough VCAs! Veils will output a gain factor of 1 when in linear mode with a 5v envelope. It will output above 1 when fed CV above 5v, with a factor of 2 in Linear and 10 when fully exponential. The main knobs act as cv attenuator, but when no CV is applied they are jack normalled to output an 8 V offset, allowing a channel to be used to increase the gain of an external signal for use in the modular!